Losing luggage is something we all fear at one point or another. The idea of starting an amazing holiday without your belongings seems like a complete nightmare. Being left with no clothes, toiletries or even spending money is enough to make anyone panic. So what can you do to ensure it doesn’t happen to you? Or at the very least, try to make sure it doesn’t happen? Take the time to consider what you NEED to take with you and what you can put in your hand luggage instead of in the hold. Things like jewellery and electronics are not necessarily covered if your luggage goes missing, so if there are specific items that are allowed in with your hand luggage and you can’t bear the thought of losing them, keep them with you. Make sure you have the right insurance that will cover you for any loss or theft of items within your luggage as well to give you the peace of mind. Before you leave, take pictures of your items and a picture of the outside of your bag. If it does go missing, you can show the photos to the airline staff, who may be able to help you track it sooner. It’s worthwhile taking pictures of the baggage claim ticket using your mobile phone camera as well, in case you lose this. 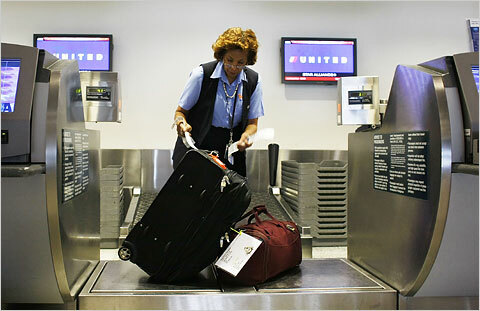 If the airline staff know exactly what your bag looks like, they’ll find it easier to spot, should it appear anywhere. You may also find the picture of the contents helps in the event of having to make an insurance claim as well. 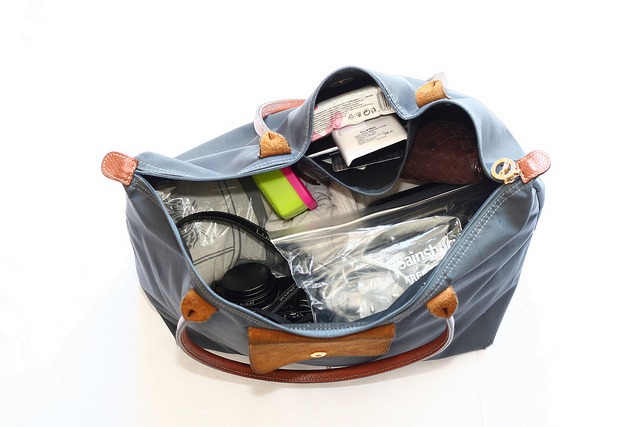 It sounds obvious, but split your items between two bags if you’re travelling with family or a partner. If you have a mix of items in each bag, then both of you will have access to the essentials, should one of the cases go missing. Obviously, it means that if one bag goes missing, both of you have lost items, but you won’t be completely without anything. Make sure you don’t put all of the necessities in one bag and all of the desirables in another as well – if you lose the bag of necessities, both of you will be stuck! Most airlines allow you to have one carry-on bag, so use it wisely. If you’re going on a beach holiday, pack your swimsuit and some sun cream in your hand luggage, while if you’re heading somewhere chilly, wear a jumper or coat for the journey. You can also make sure you have some spare underwear and your spending money with you, so that it’s always in your sight. It sounds like something out of a sci-fi movie, but installing a tracker into your luggage is one of the easiest ways to ensure it doesn’t get lost. If you do happen to lose track of it, you can simply switch on the tracker and find out exactly where your bags are. It sounds extreme, but if you can find out instantly where your belongings have ended up, you can speed up the return that much more. One of the easiest ways to ensure that your luggage doesn’t get lost on your holiday is to be aware and alert of your surroundings. One of the most common reasons bags get lost at the airport is because the staff member inputs the wrong airport code to your luggage tag. You then find that you’re heading to LAX, while your case ends up in LGA – not ideal when you’re starting a two week driving holiday in California! Check that the attendant inputs the right code and ensure your bag heads in the right direction. Make sure you add a clear differentiator to your bag as well; a coloured ribbon or even a patterned bag is ideal so that you can spot your bag on the carousel and it won’t get muddled up with everyone else’s plain black Samsonite. 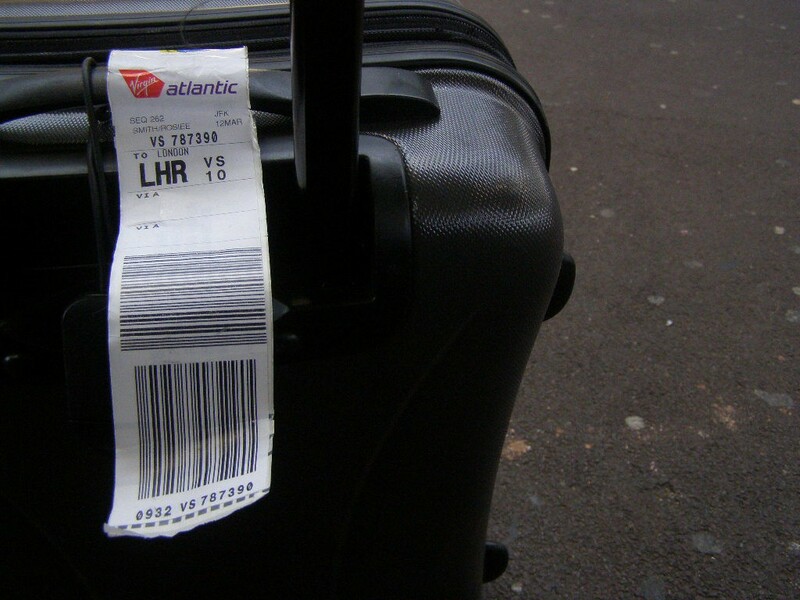 When you head off on holiday, add a tag to your bag that contains your name and address or contact telephone number. Make sure the information is up to date as well, that way if your bag turns up in another airport, you can be contacted to get it back. 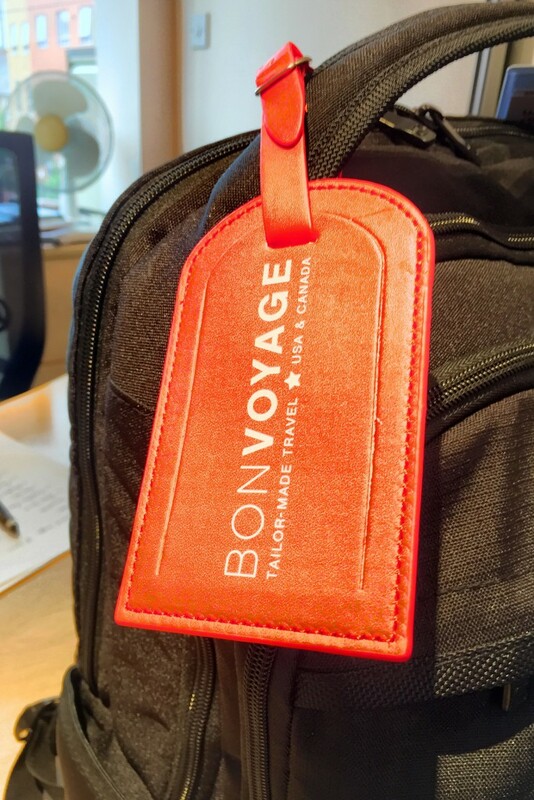 Using a bright, Bon Voyage luggage tag is ideal because you’ll spot it quickly and it will allow any baggage handlers to notice it if you do report it missing as well. If you do lose your bag – or worse, forget to collect it from the carousel – make sure you let the authorities know immediately. They’ll be able to start the search sooner and hopefully reunite you with your bags. You should also complete a lost luggage report at the airport and ensure you get a claim number and contact information to check the status of missing baggage. 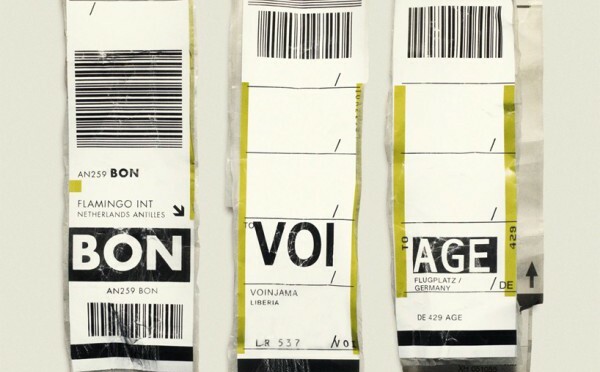 Without these key details, finding your luggage again is a lot harder, if impossible! A lot of people opt to do this anyway, as it just makes the overall airport experience far less stressful. However, there is a benefit for ensuring your luggage ends up in the right place as well. As the departure time draws closer, checking agents will start rushing more as they have a steady stream of customers to check in. 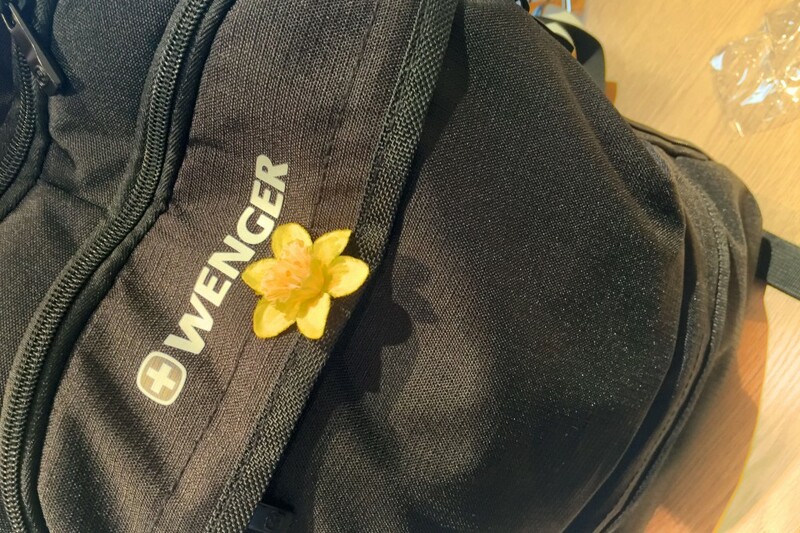 Be an early bird and check your bags when things are quiet. Your agent is likely to be more focused and have the time to check everything is correct before you even board the plane. This is particularly useful if you’re planning to head to multiple destinations on your trip. For example, if you’re driving Route 66, you won’t be in one place for long, so if you did lose your bags, they’d probably end up being returned to a destination that you’re no longer in. Add a copy of your holiday itinerary to your luggage, so if it’s found, the person will know where to send it and when. 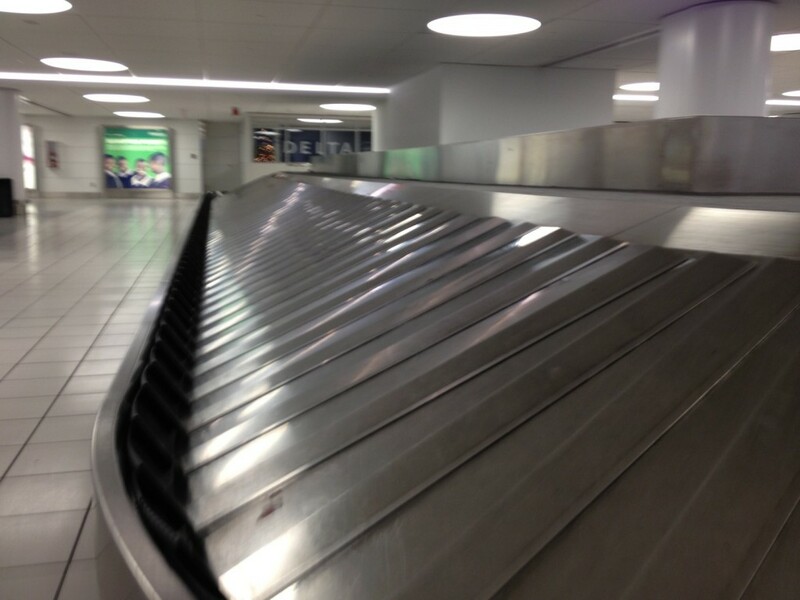 So there you have it – ten things you can do to try and avoid losing your luggage. None of these are guaranteed, but taking the measures above will at least ensure you’ve tried to keep your luggage safe. If the worst does happen, you can always purchase more items when you arrive. In fact, if you’re planning a holiday to America, the shopping is incredible, so you can turn a negative into a fun day out!